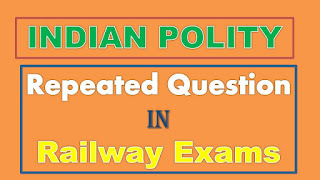 Indian Polity Repeated questions in Railway Exams: Hi Viewers welcome to our portal ssc-ibps.com, in this article we are providing the important repeated question in Railway Recruitment Board Examination like as Assistant Loco Pilot, Group D and Other Examinations. in the year 2018-19 Indian Railway Recruitment has released more than 1 lakh railway posts in different notification. For all notification examination pattern and syllabus are mention in previous articles. This article given the most Important Indian Polity Repeated questions in Railway exams these bits are useful for preparation. 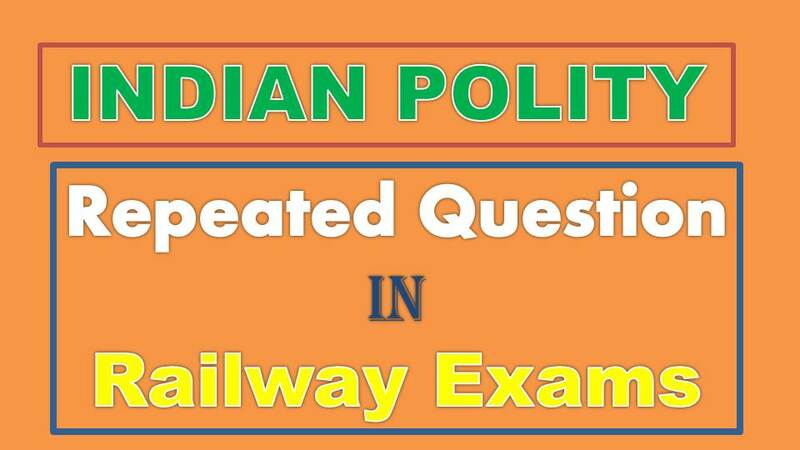 Those candidates who are preparing for the RRB Recruitment 2018 Examinations this post we are sharing the Indian Polity Repeated questions in Railway Examination conducted by the recruitment board of all Indian railway zones. Q: Who is the chairman of Kendriya Hindi Samite? Q. Who was the first Deputy Prime Minister of India? Q. Who is the guardian of Fundamental Rights enumerated in Indian Constitution? Q. How many members are nominated by the President in the Rajya Sabha? Q. The word “Secularism” was inserted in the Preamble of the Indian Constitution by which Amendment? Friends are you like these questions with answers in polity please share to your friends on social media or any platform. If you have any important bits, topics or which topic based on question you want for known previous year question comment on below comment box or mail to [email protected] thank you for reading. Any suggestions please comment.